Meditation. For something has been around for thousands of years, seems to have flourished over the past couple of years and continues too. I say that it has really flourished over the past couple of years, because it seems to have taken shape as one of the most sustainable health trends. But instead of being your typical trend that only lasts a couple of months, it sticks with people for their entire lives. So what is it about meditation that effects individuals so drastically that it changes their mindset and lifestyle? The first written records of meditation were found in wall art in the Indus Valley. Walls that are dated from 5,000 to 3,500 BCE. This wall art, showed people sitting crossed legged, hands on their knees and eyes slightly narrowed. Which is exactly how we imagine and practice meditation today. There is also written evidence, dating back over 3,000 years ago from India that describes meditation techniques. Something that is so dated and really quite simple, if we look at it very surface level, has lasted thousands of years. Why is that? I am no expert on the subject, but I thought I would share my point of view and share my thoughts on the matter, based on my personal experiences. My meditation journey started in August of last year, 2017. If I remember correctly, I started (very slowly might I add) because I wanted to bring more mindfulness into my life and I was working on finding ways to manage stressful and anxiety inducing situations. What started out as a very slow and loose process, has turned into a religious part of my routine. I now meditate at least once, usually twice, a day and I swear it has changed my life. My days feel off, if I don't find the time to meditate in the morning, that's how intertwined meditation really is to my day-to-day. For someone who is not necessarily a very spiritual person, this has been a very intense spiritual experience for me. Specifically in how it has not just changed my understanding of spirituality and what it is, but in the way that it has truly changed my mindset, the way I view myself and the world and my ability to cope with different situations. I started taking my mediation much more seriously back in October, after a, at the time, quite horrible breakup. That kind of breakup that left you feeling empty, dark and lost. Breakups are always bad, but living together and thinking that it was going to be us taking on the world together, left me well just lost and confused, when it all came tumbling down out of no where. I was in a place where I really just need to take extra good care of myself. So I meditated every day for 5 minutes and it is the sole reason I got myself out of bed every single day. So while my meditation journey started as a "coping mechanism" for a breakup, it's turned into a lifestyle and it has given me the greatest gift of all. This gift, is something that's really hard to put into words. It's a form of spiritual awakening in a way that is not your typical "spiritual experience". It's a sense of mindfulness. A sense of gratitude, respect and understanding. It's a gift that has had such a large impact on me personally, that I have not only noticed it physically and emotionally in myself, but that others have noticed it as well. I don't know about you, but I think that's pretty f***ing crazy. And in just 4-5 months. What it is about meditation that has this ability to make this kinds of powerful impacts, I don't entirely know if I can describe. It needs to be experienced. Not because it's meditation, but because we are all so different, so our experiences with this won't be the same. This might sound very hoodoo-voodoo to you, and trust me, I get it. That was how I was when I started looking into and reading more about meditation. Which leads me to the title of this blog post. Why you should meditate. You should meditate whether your going through a breakup or in a solid, steady, happy relationship or if your happily or not so happily single. You should meditate if you are spiritual or not spiritual. You should meditate if you want to look more within yourself or if you don't really know what that means. You should meditate if you struggle with stress or anxiety. You should meditate because you love yourself. You should meditate because sometimes you don't love yourself. My point being. No matter your background, where you are in your life, or your personality or perspective on the matter, you should meditate. I truly believe that everyone should at least try meditating, but only when they are ready and willing. 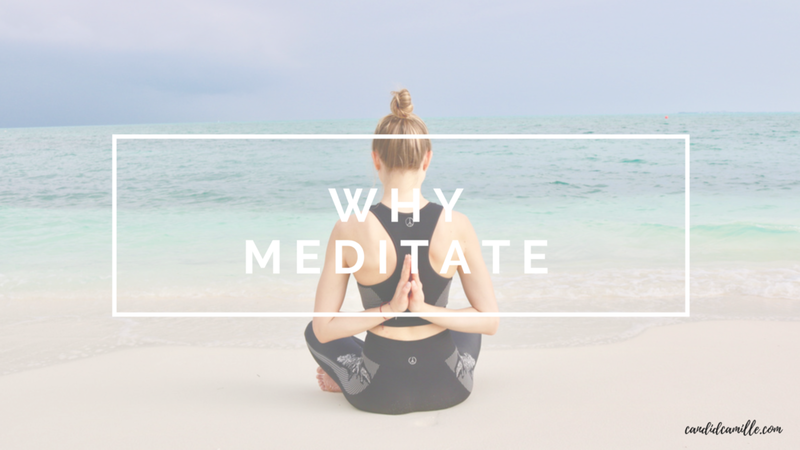 And that doesn't mean you have to mediate, 20 minutes three times a day sitting crossed legged, hands on your knees, eyes closed and completely zen the whole time. It means that you take 5 minutes for yourself every day in whatever way works for you. Whether it be sitting, lying down or even walking. Make it personal to you, your needs and your schedule. Make your own meditation practice, instead of stressing about trying to follow someone else's. 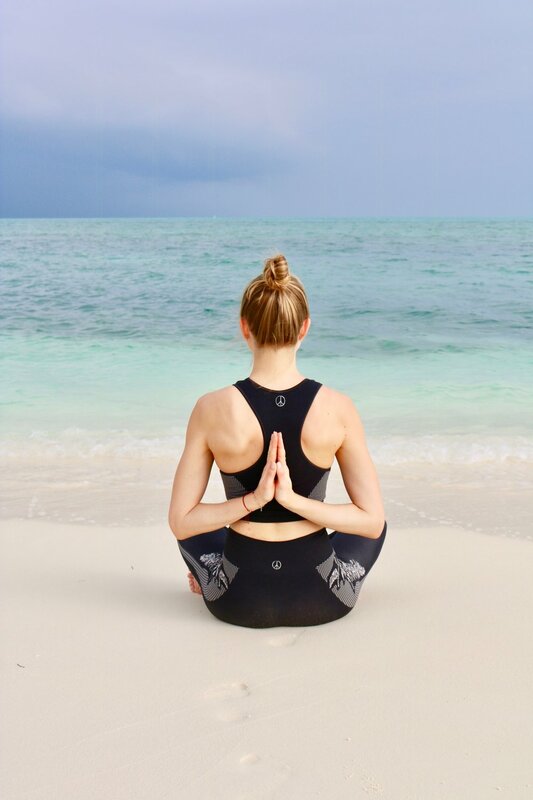 I hope this post leaves you feeling intrigued, inspired and that you are already in the process of downloading Simple Habit or some other guided meditation app to help you get started ;). I swear, it can be life changing. You just need to let it.